Rovio Mobile is obviously hoping that their new Angry Birds Star Wars game is going to be a hit with Star Wars fans, we have already seen a couple of video of the gameplay on Angry Birds Star Wars, and now we have another. 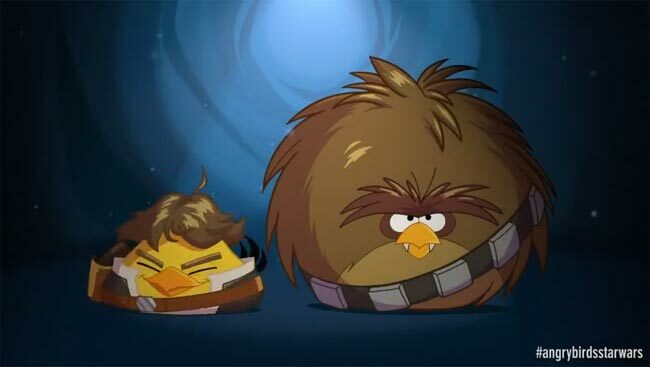 The latest Angry Birds Star Wars teaser video feature Han Solo and Chewbacca, have a look at them in action below. Angry Birds Star Wars will be available next week in the 8th of November, you can find out more information about the latest installment in the Angry Birds games over at Rovio Mobile.